For homeowners looking for a contemporary wood burning stove for their modern home, Dovre has a wide selection to choose from. 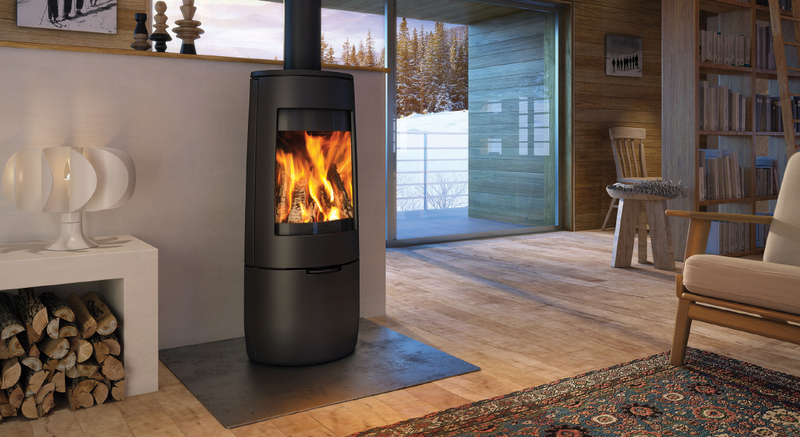 We have listed our top 5 contemporary wood burning stoves. Featuring the latest Cleanburn and Airwash systems, Dovre has a wide range of contemporary wood burning stoves to suit a variety of homes. With outstanding efficiencies, these Ecodesign Ready stoves not only meet proposed 2022 Ecodesign air quality standards but they are also suitable for burning in urban areas where there is a Smoke Control Restriction*. The contemporary Astroline 4CB wood burning stove features an extensive front window and glass side panels to enable you to enjoy to the exceptional swirling flames to the full. Available in both wood burning or multi-fuel versions, this cast iron wood burner comes in a choice of pedestal or wood store bases. 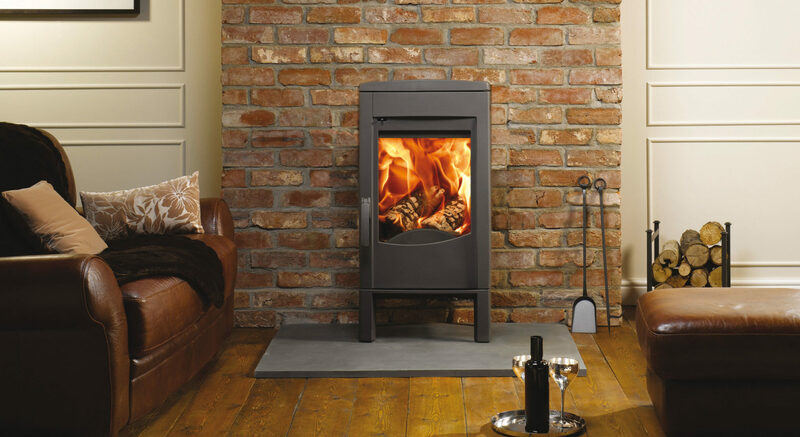 The contemporary Rock 500 is a versatile wood burning stove. With its superb landscape flame view, this wood burning can truly create an exceptional eye-catching focal point. Its rounded cast iron exterior features smooth curves with minimalist detailing and with the option to be selected as either a legged, tablet or wood base model to suit your home’s preference. 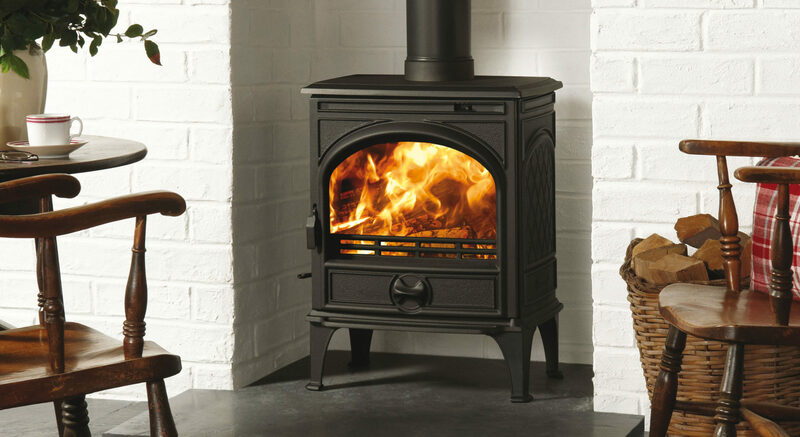 Featuring a tall firebox and expansive viewing window, the contemporary Bold 400 is constructed entirely from cast iron. This Nordic style wood burner is also available in Black, Pure White Enamel or Grey Enamel finishes. With an integrated base for your logs, the Bold 400 incorporates a four-point stand for a striking alternative. The largest stove in the contemporary Dovre Vintage wood burning stove range, the Vintage 50 incorporates smooth, distinctive style of appliances from the ’50s and ’60s. 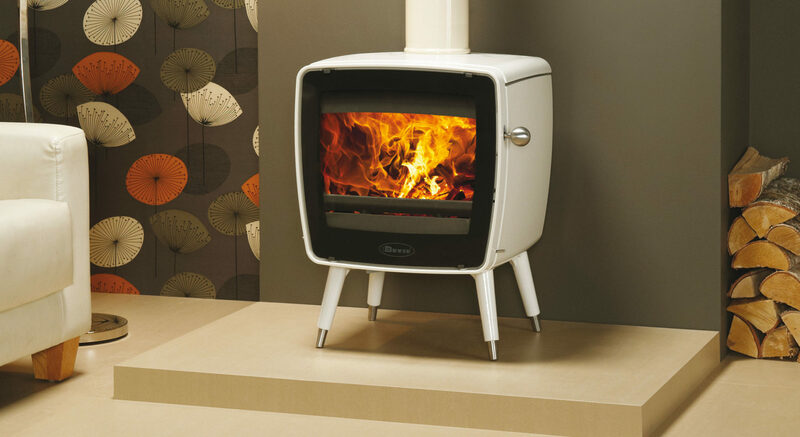 With a 9kW heat output, this retro looking wood burner can heat a large room with ease. Available in both Anthracite or White Enamel finishes, the Vintage 50 wood burner can be displayed with an optional table to further enhance its styling possibility. The Sense 203 is recent addition to the growing collection of Dovre’s contemporary cast iron range. Featuring stunning glass side panels to emphasise the exceptional swirling flames, this woodburner has a compact body and subtle curving detail to provide a big statement. Available in a choice of striking colour finishes, the Dovre Sense 203 is convenient for a wide range of installations. You can download our latest Dovre brochure for more information on these contemporary wood burning stoves. Alternatively, you can visit your local Dovre retailer. *250, Vintage & Sense stoves are approved when fitted with a Smoke Control Kit.